Fresh baby spinach sautéed with extra virgin olive oil and garlic; then lightly seasoned with salt and pepper. I know this is a REALLY simple recipe, but sometimes I just have to think about all of those new cooks out there just starting out. 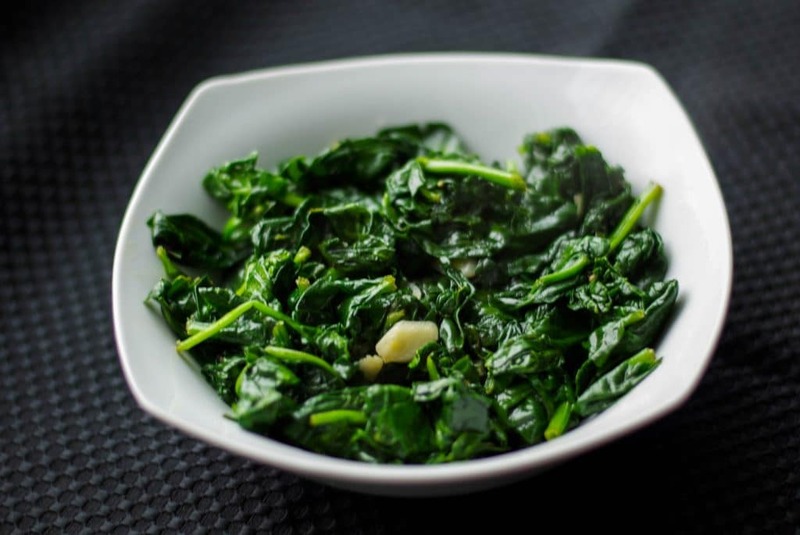 This Sautéed Fresh Spinach and Garlic HAS to be in your recipe repertoire and goes perfectly with just about anything you’re serving. I love spinach and generally buy it frozen because once you cook down fresh spinach you really don’t get much of a yield. I say this serves 4 as a side dish, but I could eat the entire bowl myself! 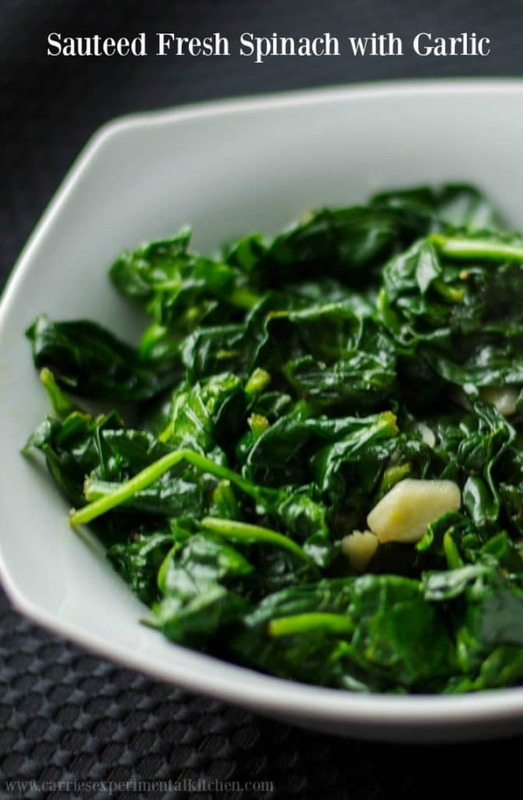 To make this recipe you’ll need fresh spinach, garlic, and extra virgin olive oil. First start by cleaning your spinach. I don’t know what I would do without my salad spinner for this step! I used to just use a colander then use paper towels to help dry off the leaves. But once I started using my spinner, I couldn’t believe how much dirt was still left on the spinach after it had been washed. It really helps to dry the leaves well too. Next, heat the oil in a large sauté pan on top of the stove over medium high heat; then add the garlic and cook 1-2 minutes until you start to smell the garlic. You don’t want it to turn brown. Add your spinach and using tongs, keep turning the spinach leaves around in the pan until it has wilted. Season with salt and pepper and serve with your favorite meal. ~Enjoy! Fresh baby spinach sautéed with extra virgin olive oil and garlic; then lightly seasoned with salt and pepper. Heat oil in a large, nonstick sauté pan; then add the garlic and spinach. Sauté until the spinach starts to wilt and garlic has released it's smell. Season with salt and pepper. 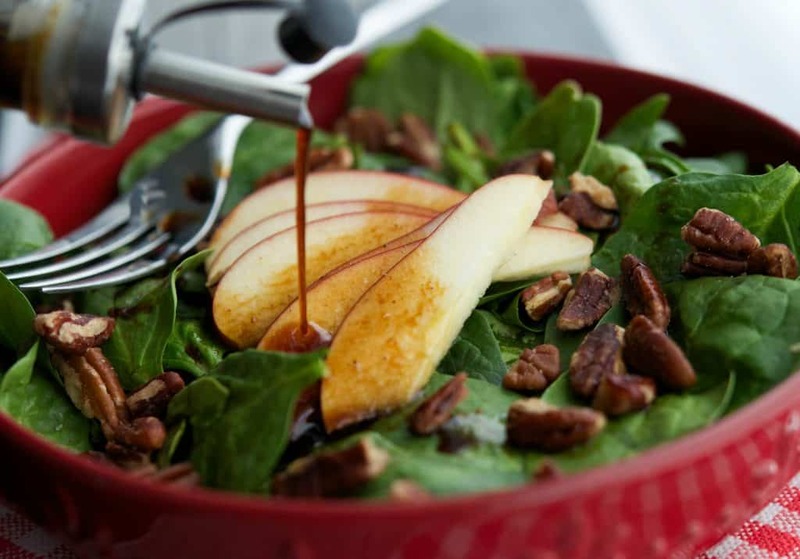 *To remove the stem from a fresh spinach leaf, fold the leaf in half along the spine, grab the bottom of the stem and tear toward the tip of the leaf. 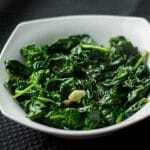 To clean spinach, swish in a bowl of cold water, let sit for a minute, and then lift into a colander to drain. Empty the water and repeat. After doing this, taste a leaf. If you detect even the slightest bit of grit, wash the leaves again. I love getting fresh spinach in my CSA farm share, but I never think to sauté it. Great idea! Thank you Kirsten, it really brings out the flavors. 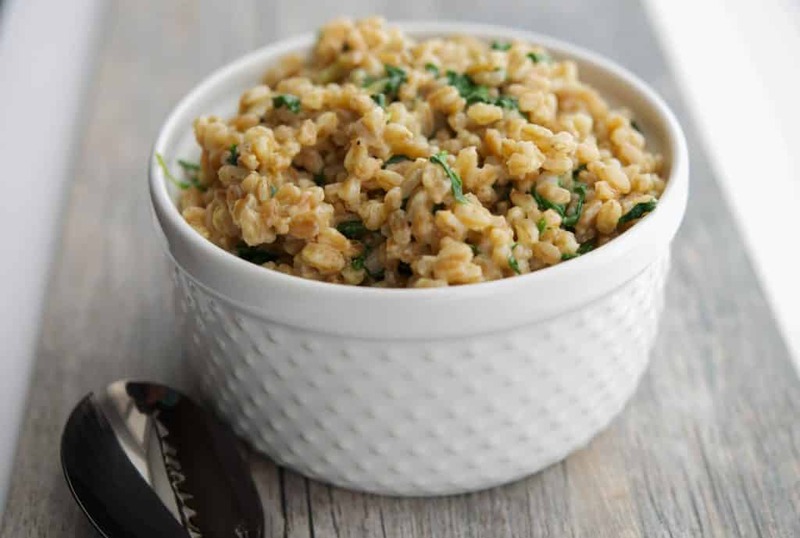 I like to add mushrooms to this recipe! 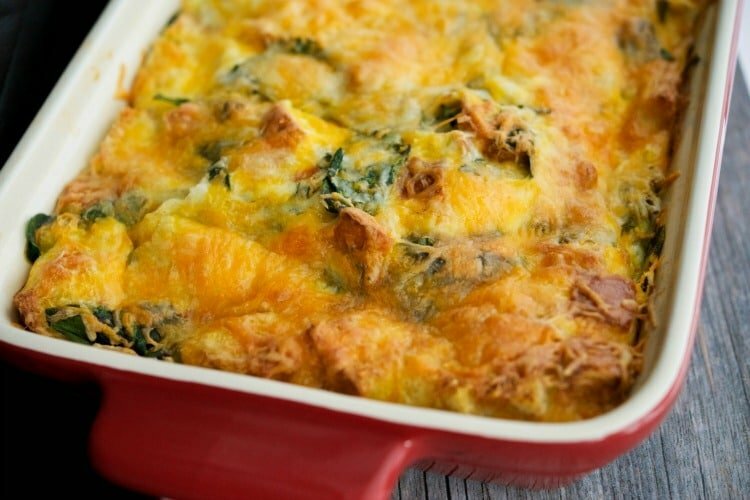 We love spinach! !